!!! !THIS IS ONLY IF YOU HAVE ALREADY MADE A CLONE CHARACTER USING BRAWLEX CLONE ENGINE, IF NOT THEN GTFO AND DO IT!!!! Here I teach you how to add your panels, portraits and all that to your cloned custom character from BrawlEx Clone Engine. There's two bucket loads of writing and no pictures so if you don't like reading then I suggest you would watch a youtube tutorial, go to Sammi Husky, that's where I learnt this. He also provides you with the base files and stuff. 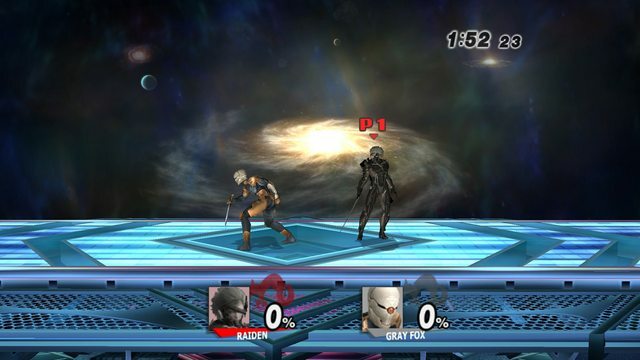 Open up "sc_selcharacter.pac" in BrawlBox or whatever it is you use (I suggest getting BB to easily follow me) you will see "char_bust_text_lz77" inside there is all the character face images and stuff, right click on the char_bust_text_lz77 (I'll call it arc) and click "New Entry" then "BRResource Pack". Scroll to the bottom of inside the arc and see at the bottom it will be "MiscData" you don't want it to be like that so change it from "[ 0]" to something like . that's the character ID thing, so our id is now 110 which will be used thoroughly. Make sure the Compression of the MiscData folder is "ExtendedLz77" this is a MUST DO or else it will freeze and crash and blow up your computer so make sure to DO IT! I assume you have a face image which is what shows on the player card after selecting a character, if not just export one from another character. Now that we have that right click on MiscData and go Import then Texture, then find your face file which should be named "MenSelchrFaceB.1101" you see the 1101? that's the id of the character and the suit colour, so 110 is the id and the 1 on the end is the colour, meaning a second colour suit would be 1102 and so forth. Now you can get out of that arc and now look for "MiscData" this is in the root so don't go into a characters files. In here is where you will put your characters NAME images. For that you will need an image called "MenSelchrChrNmS.110" and "MenSelchrChrNm.1101". The difference between the two is Nm is the photo for the large name that goes ontop of the player card, NmS is the name that is ontop of the little character box slot, that's why the "S" is at the end, it means Small. Again if you do not have these already just take one from another character and use it as a template, the NmS can be found in "MiscData". The reason why we don't have to add a 1 after 110 for the names is because they never change colour. You will now need a face, it should not be the whole body, this time just literally the face, this face is used in the character slot which is the little box, AGAIN if you don't have one just grab it from another character from "MiscData", a file template name can be "MenSelchrChrFace.008" which is Pikachu. After you have obtained a face make sure to change the ".008" to ".110", there is no 1 at the end because it does not change colour. When you have changed the name you need to import the texture into "MiscData" so right click it, then press import and then texture. Make sure to click recommend or CFB or some [censored], helps get the best size/look. DONE! After that go to the "AnmTexPat(NW4R)" folder which will be inside "MiscData" and look for "MenSelchrFaceA_TopN__0" inside there is "Face02" and "Face06" they both will have "Texture0" inside them. In "Face02" right click on "Texture0" and click "New Entry" go to the bottom of the texture list and you will see under "MenSelchrChrFace.051" something like "New Entry" just click on it and on the right hand side change the FrameIndex to 1101. In the Texture value just click on the dropdown and just select one similar to the one above so for exmaple if you chose "MenSelchrChrFace.051" just change .051 to .110 to match the texture file of your face. In the Texture0 from Face06 do the same more or less but the name has to match the others so this time it will be "MenSelchrChrNmS.042" make sure it's "MenSelchrChrNmS.110" and the FrameIndex to be 1101. After that go to the "MenSelchrFaceA_TopN__0" section again and click on the root and on frame count, it has to be one frame higher then the one you just added so from 1101 put it to 1111. Now you have to do the same for FaceA to FaceI so A, B, C, D, E, F, G, H, I. To make this not a living hell just export "MenSelchrFaceA_TopN__0" and then right click on each one, A to I and replace it with A, the one you just exported and then all should be good. You're almost done. In the "AnmTexPat(NW4R)" again in "MiscData" there is a PAT thing called "MenSelchrCname4_TopN__0" that is where the name of your character shows on your player card. You need to do something really similar to what you did with the face, you just don't have to export it and replace 9 other PATs'. In the "MenSelchrCname4_TopN__0" there is "Card010" and "Card011" now you'll recognize something really similar in both of those, "Texture0". All you have to do is pretty much exactly what you did before with the face, just make a new entry in both of them and make the "FrameIndex" 1101 and for the texture you put the name of your name image which should be "MenSelchrChrNm.110". Do that in both cards and you're done! MAKE SURE YOU GO TO THE "MenSelchrCname4_TopN__0" PAT AND CHANGE THE FRAME COUNT TO ONE ABOVE THE ID YOU JUST ADDED!! So it will be 1111 again, this is really important! Just keep this in your head, all PAT looking files you will have to do this, one frame above the one you just added. So now all you need to do is add the franchise mark that appears on the top left of the player card, it's fairly easy. Have a franchise mark or again if you don't have one grab a template from another character from "MiscData" I took mine from Snake so it was "MenSelchrMark.17" which is the FOX logo or (Kojima Productions). Slow down, before you think you know everything and go renaming it to "MenSelchrMark.110" it's different this time. If you looked there is only 20 of them, so that means your next slot can be 21, so just use "MenSelchrMark.21" and it should be fine. After you've imported that texture into "MiscData" go again to our friend "AnmTexPat(NW4R)". Here you will look for "MenSelchrCmark4_TopN__0" which is ontop of name, the one you just did before. Luckily this time when you go inside there is only one file, "Card04". In there is Texture0 again so just repeat as last time, right click and new entry, scroll to the bottom and put the FrameIndex as 21, the same as your mark id, put in the texture the name which should be "MenSelchrMark.21" and then enter. Stop right there, you forgetting something? It's a PAT meaning you scroll back up and click on "MenSelchrCmark4_TopN__0" and put the FrameCount up by one so you added the id as 21, now you'll make the FrameCount 22. Now you're %1000000 done for the character select screen, besides the audio announcer (duh), head to the top left, click "File" and then "Save". There is a file size Limit for that file, you CANNOT go over 3.79MB, it CANNOT BE 3.79MB it has to be UNDER IT. if you're file size is larger then it won't work, you can either make the images less MASSIVE or you can try this, open sc_selcharacter.pac again in BB and the top arc, the root pretty much, just left click it and then there will be "Misc" Compression, it should be on Lz77, you can change that to "ExtendedLz77" that should help lower the file size, although I've heard it does not open up in CSS Organizer so what you can do is make it Lz77 when you want to open it in CSS Organizer and then change it back afterwards. One more thing to get this to work. Go to your CosmeticConfig folder which should be by default "private\wii\app\RSBE\pf\BrawlEx\CosmeticConfig\" and open up your clones Cosmetic3F.dat thing in a hex editor. (That was my first clone so it was named with 3F at the end) After you've opened it in a hex editor, go to the co-ordinates, 0x10, for some people the value there might be 00, mine was different but it still worked, go to 0x10 and change the value there to 6E. 6E is 110 in hex, 110 is the id of our character, so if the id of your character is 111 it would be 6F and you would put that there instead. Save and then chuck all this [censored] onto your SD and you're done! The "sc_selcharacter.pac" file should be placed in "\private\wii\app\RSBE\pf\Menu2\". So to add everything in-game you'll need these files in these directory which will be on the SD Card. The names without a file extension means they're folders. Hopefully you all understood that. You need a stock icon for the start of this, stock icon is the lives and small heads that show at the end on the result screen I think. Anyway if you don't have one go to "sc_selcharacter.pac" and then "MiscData" and choose one "InfStc.463". After you've got your stock icon, rename the 463 to 1101 so it ends up being "InfStc.1101". Import your stock icon into "MiscData" where you found it. Open up info.brres in BB, make sure not to open up info.pac, my windows is set to show extensions so I never have this confusion. After you have that opened up you will need to have your name and mark that will show on your battle portrait in-game, I repeat again, if you do not have one just grab it off another character, the name for the names should be "MenSelchrChrNmS.031" you will have to make yours 1101 at the end. Here you also have to upload your mark, the mark name should've stayed the same which is "MenSelchrMark.21". After you've done that you scroll down until you see the folder "AnmTexPat(NW4R)" the same as last time, open up "InfFace_TopN__0" and then on texture0 right click and press New Entry and scroll to the bottom and put the FrameIndex to 1101 and the texture should be "MenSelchrChrNmS.1101" don't forget this is a PAT file meaning you go back to "InfFace_TopN__0" and put the FrameCount to one above the last one which was 1101 so make it 1111. Now look for the PAT "InfMark_TopN__0" and pretty much do the same as last time, new entry, make the frameindex 21, choose your mark texture "MenSelchrMark.21" and then go back to the PAT "InfMark_TopN__0" and change the FrameCount to 22, one above the one it was before. Save and then Close. This one is a little easier and somewhat the exact same thing as the one you just did before. Go to the info2 folder and open up "Info.PAC" Make sure it's the pac and not the brres. Go to "MiscData" and import the name texture "MenSelchrChrNmS.1101" Remember what the 1101 means? it's the one In-game, I talked about it before, the default dimensions are 104x12. Also import the mark. Now go to this guy "AnmTexPat(NW4R)" and go to this PAT "InfFace_TopN__0" go new entry and make the frameindex 1101 and the texture "MenSelchrChrNmS.1101" DON'T FORGET TO PUT UP THE FRAMECOUNT BY ONE ON THE PAT!! which should be 1111. Do the same thing for PAT "InfMark_TopN__0" kinda self explanatory what you have to do but for anyone wanting to be sure, go new entry, frameindex to 21, texture name "MenSelchrMark.21" then go back to the PAT and put the framecount up by one which is now 22. Save and close. NOW onto something less repetitive, right click "MiscData" and export it somewhere. Open up info_training.pac and right click on that "MiscData" and replace it either by right clicking and replace or CTRL+R and select the MiscData you exported from info.pac. Save and then close. Open up "info_training_mg.pac" and do the same as before, replace this one's MiscData with the one you exported. Save and then Close. Run BrawlBox and go "File"-"New"-"Brres Resource Pack". Now you should have a new brres in BB, right click and go Import-Texture and find a face or something to show your character, this is a battle portrait, meaning the picture it shows in-game, for now just use the face you already have which is "MenSelchrFaceB.1101" but make sure the B is not there inside the brres so make it "MenSelchrFace.1101" add more if you have other suits but for now you're fine. Go to File-Save As, name it "InfFace1101". Now you should have a file called InfFace1101.brres, remember the directory structure that was at the start? put your InfFace1101.brres into the portrite folder, which is in the info folder. The image will look funny because it will be forced into the right dimensions which is 48x56, you can't get a template unless you have the games original files and go into the portrite folder. Anyway now you're done with that. Run BrawlBox again, and go File-New-Brres Resource Pack and now you need to import textures again, this time it will be for the portait at the results screen, just import your "MenSelchrFaceB.1101.png" but you don't have to rename it this time, the 1 at the end is for other costumes, so 2 would be for the second one. Now save as again but name it "MenSelchrFaceB1100" now you should have a file called MenSelchrFaceB1100.brres. Copy that file into the char_bust_tex folder which is in the menu folder and then common. LASTLY, omfg about time. Find and open up "STGRESULT.pac" press the + at the arc labeled "2" and scroll down to "MiscData" import your mark in there, your mark MUST BE IN "CI4" or C14 I dunno they look the same. The mark must be white and have transparent background to work. Remember the stock icons earlier? We haven't finished yet with them. In the STGRESULT.PAC file go into MiscData like before and inside ArmTexPat(NW4R) there is "InfStockface_TopN__0" go inside that and you'll see "stock_lambert87", go inside that and oh look, a fimiliar friend! the 'Texture0" I'm sure by now you know what to do with this guy, go "New Entry" and at the bottom to the new entry put in 1101 in FrameIndex and the texture should be "InfStc.1101", You haven't forgotten about PATs have you? go back to the "InfStockface_TopN__0" PAT and put the frame count up by one which will turn out to be 1111. You can now Save and close. Forgot one thing, after this go to your Cosmetic3F.dat in your BrawlEx CosmeticConfig, your cosmetic.dat might be different but your first clone should be that. Open it again with a hex editor and at 0x14 put in the mark number in hex minus in there so the mark number was 21, in hex that's 15, take 1 away from the hex which is 15 making it 14 and that's it. Save and close. Copy all this to where they should go on your SD (follow structure above) and you're all set! Hopefully. NOTE 1: "MenSelchrChrNmS.211" and "MenSelchrChrNmS.21" are different files for different purposes! the one with 211 comes from info.brres which is the name that is displayed IN-GAME, You can tell the difference easily that it has a pitch black background for transparency, unless you changed it. The one with just 21 is for the small name above the CHARACTER SELECTION slot in , it has a dark grey background and if the name is long the second word usually goes under the first one. 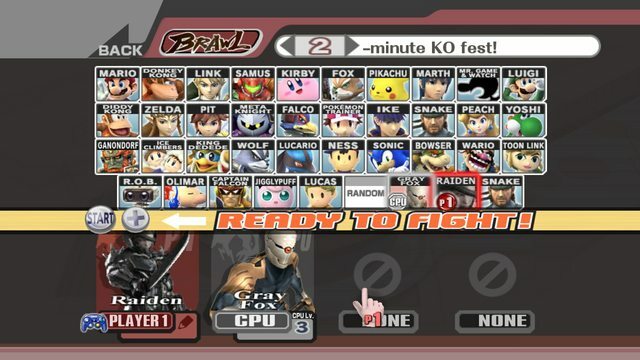 NOTE 2: You should already have "sc_selcharacter.pac", if not you can get it from BrawlEx CSS Expansion. 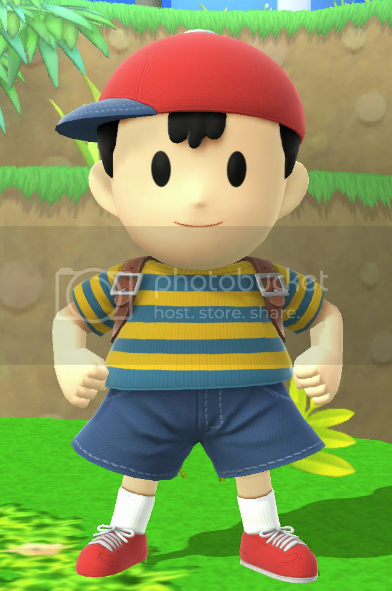 NOTE 3: If you're clone has more then one costume, you can make it easy by everything that has the number set-up like 1101, just make the second costume 1102 and place it in the same place as the first one EXCEPT for the portrait, I mean portrite (Nintentardz spelling) For the portrite you need to have a separate brres then your original costume so the original is "InfFace1101.brres" the second costume will be "InfFace1102.brres" inside those brres you need to have the texture like this "MenSelchrChrFace.1101" I know there's a 1 at the end but it will freeze the game if you change the number or add one. NOTE 4: If you have a second clone that you want to use, instead of 110 and 1101, make it one above so it will be 111 and 1111. This counts for the PATs too, so one above 1111 would be 1121. Using other costumes without this set=up will freeze at stage selection. NOTE 5: If your second clone uses the same franchise mark as another character you DO NOT need to re-import it or do anything. All you need to do is on the Cosmetic3F.dat, 3F will be 40 if it's your second. Open it in HEX and at 0x14 do the same equation as the other mark and put it there. For example if I wanted to use my first clones mark I'd put 14 in there like I did for the first clone because that's the marks slot you set from 21 and that's how it knows what to use. NOTE 6: Stock Icons I have no idea how to get it to work as of yet, I followed "Sammi Husky"s tutorial on YouTube and he didn't know either. If I've missed/stuffed up let me know, hope this helps I spent ages on this. It's easy to do once you know. Credits go to The developers of the whole BrawlEx team and to Sammi Husky for the tutorials. This is how it should look if everything was done right! I've always been much more partial to text tutorials than video ones. Thanks for the putting in the effort it took to make this. 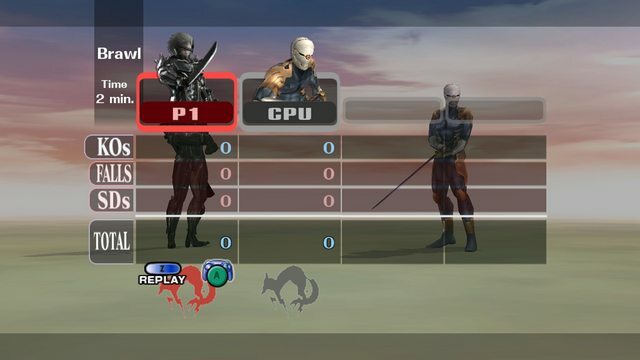 do we really need bp's and stage result screen portraits, or could the clone just use the same ones as the original character uses? I'm pretty sure after you clone him it's linked by itself, if you're using the cloning tool that is. glad to see my video tutorials helped you out some people like text tutorials more. the cosmetics video i made was right back when the clone engine first came out. iirc ASF was the only one to do custom cosmetics before me. How the Cool Kids Dance Once More!! People also love written tutorials so good job. This is Nyan. She He is indeed random and also definitely not a pervert. I Will Accept Everyone's Faults As Long As They're Not Annoying. In that case, i'll release an update to the clone tool within either today or tomorrow. It'll make things easier for you. "When the moon is full and the trees are bare- Walk through the Cemetery if you dare. Where skeletons rot and corpses fester- Locate to the tomb with the skull of a Jester. Feed him the token all shiny and new- It is then that CarnEvil will return for YOU!" Just a main Mewtwo from Galicia, y'know? Hey I have a problem. I did everything like it says when it comes to the franchise icon but when the result screen loads up, I get a black screen and it freezes there. How can I fix this?